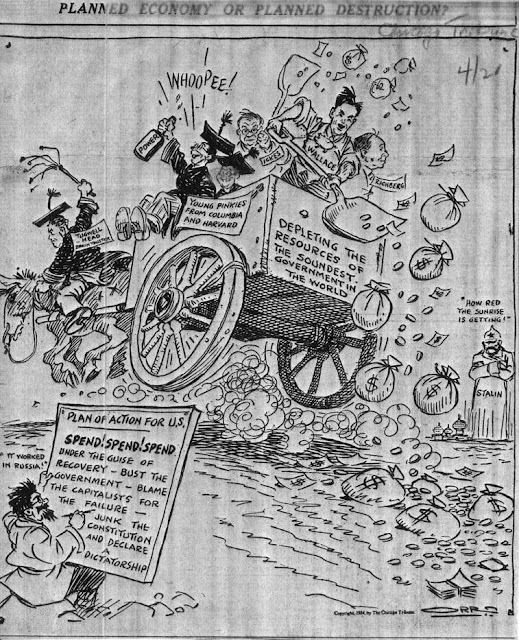 I just got a chain e-mail with the following cartoon that purports to be from a 1934 edition of the Chicago Tribune. Spend! Spend! Spend! Under the guide of recovery – bust the government – blame the capitalists for the failure – junk the constitution and declare a dictatorship. I almost think Obama is using this as his playbook.